Located in the Southeast corner of Westerner Park, the Equestrian Centre is fully paved and has ample services for a variety of users. 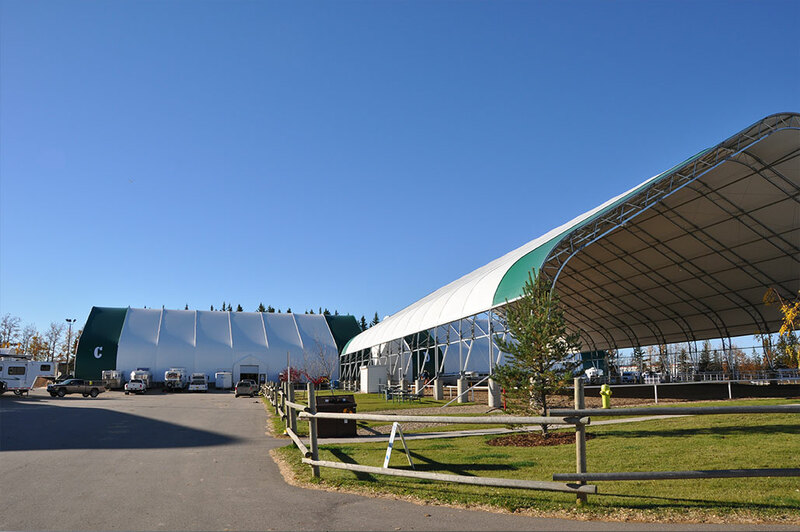 With four large stalling tents, a covered sand ring, two in-field warm-up rings, indoor wash rack, a washroom and shower facility, along with a featured show office, the Equestrian Centre has amenities for all horse enthusiasts. *Please note: The Equestrian Centre is available only in conjunction with the rental of either Agricentre East or Agricentre West.